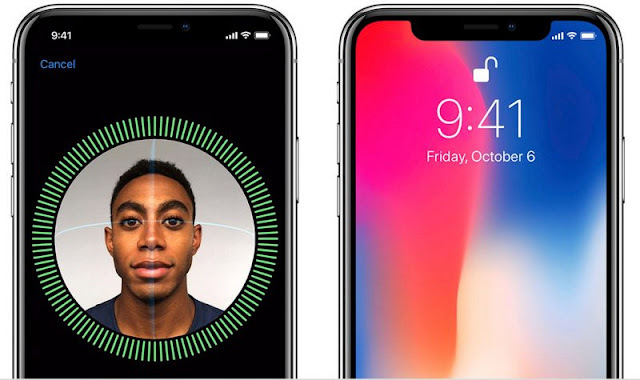 Home iphone X Is Face ID secure? Apple launched the brand-new iPhone X at the Steve Jobs Theater in California in September 2017, complete with edge-to-edge display and a new facial recognition system or Face ID. Apple claims that Face ID is incredibly accurate and secure, and states that there’s a 1 in 1,000,000 chance of a passer-by on the street gaining access, compared to 1 in 50,000 with Touch ID. Even with the high-end TrueDepth camera system, some Apple fans aren’t convinced that Face ID is more secure than Touch ID. So, is Face ID secure? We look at all the evidence. So, how secure can using your face as a way to access your phone and make payments? Apple claims that it’s an incredibly sophisticated system that will take a lot to be fooled, but past failures from other manufacturers and comments from security experts seem to disagree. This is how Apple’s Face ID works and what Apple says about the technology. The magic behind the feature is due to the TrueDepth camera system present on the iPhone X, comprised of a flood illuminator, IR camera and a dot projector alongside standard components like the front camera, speaker and proximity sensor. The flood illuminator detects your face, even in the dark, before capturing an image with the IR camera and projecting 30,000 dots onto your face to take a depth reading. All this is analysed using Apple’s A11 Bionic chipset capable of 600 billion operations per second, and is compared with credentials stored on the iPhone. While it sounds cool, consumers are worried that Apple’s Face ID can be fooled by photos and the like. Apple, rather obviously, claims otherwise. In fact, the company claims that there’s a 1 in 1,000,000 chance that a random person in the street will be able to unlock your Face ID-protected iPhone, and that photos won't work either. That is unless you’ve got an identical twin – even Apple’s sophisticated tech isn’t that good. So, if it can’t tell the difference between twins, why should people put trust in Apple’s facial recognition system? Apple claims that the Face ID system can’t be fooled by photos, videos or any other kind of 2D medium thanks to the way faces are measured in 3D. The company has even worked with high-end Hollywood mask makers to make sure that even the most detailed, life-like masks wouldn’t fool it – although the company didn’t mention during the press conference whether the masks actually fooled it in the end. Apple has since admitted that Face ID may tricked by relatives, especially those younger than the age of 13, as it's likely that their distinct facial features aren't yet fully developed. Those worried about their kids accessing their iPhone X should probably opt for the good ol' passcode. Previous facial recognition fails. This theory had been proven when a 10yr old unlocks the iPhone X of his mom using the faceID. While Apple seems confident about Face ID’s abilities, there have been many manufacturers with similar claims in the past – and they never went well. Let’s start with the basics. Android had the option for facial recognition on the lockscreen way back in 2011, and could be easily beaten with a photo. Even the updated version of the Face Unlock system that required users to blink before it unlocked was shown to be unreliable after a bit of Photoshop magic. But while Apple’s hardware is designed specifically for facial recognition, the Android Face Unlock system utilized whatever hardware was on the plethora of Android devices at that time – none with tech as sophisticated as Apple, so you can’t expect the same results. With the removal of touchID which for me is more secure than the new faceID, Would Apple bring the touchID back on its future models, what do you think? let us know on the comments below.